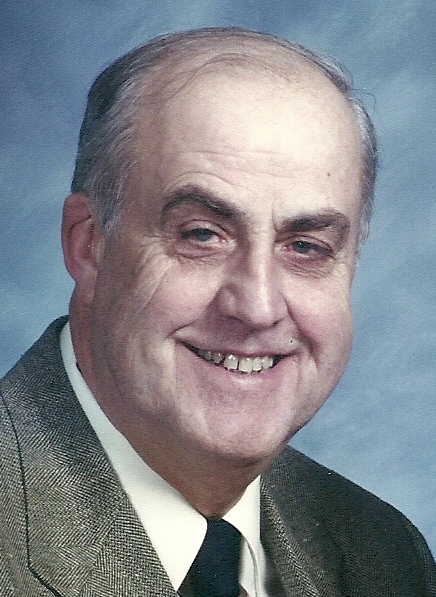 Carl N. Shields, 79, of Erie, PA, passed away Tuesday, January 29, 2019, at Millcreek Community Hospital. Carl was born in Erie, PA, in 1939 and was a 1957 graduate of Academy High School. He was the son of the late William J. Shields and Hazel (Kraft) Shields. Carl was the owner of Shields Exxon, 26th and East Avenue, for many years before becoming the Director of Transportation for Wattsburg Area School District, from which he retired. He was a long time member of St. John's Lutheran Church, Erie, PA, having served on church council on numerous occasions. He was instrumental in the building of Dufford Terrace Apartments and served as board president for many years. In addition, he was a lifetime member of East Erie Turners. Carl was an avid NASCAR fan and enjoyed traveling. In 2011, he was preceded in death by his beloved wife of 47 years, Florence (Weingard) Shields. He was also preceded by a sister, Dorothy Koos. Surviving him are his daughters, Natalie Dobry and her husband Andrew of Berryville, VA; and Heidi Vogt and her husband Steven of Venango Township, PA; grandchildren Kyle Dobry of Richmond, VA, Alex Dobry of Berryville, VA, and Adel and Aeden Vogt of Venango Township, PA; and brother William Shields. Friends may call at the Scott Funeral Home, 2104 Myrtle Street, on Friday, February 1, 2019 from 3pm to 6pm. Funeral Services will be private at the convenience of the family with the Rev. Erik Young of St. John's Lutheran Church officiating. Private burial will be at North East Cemetery. The family would like to express their gratitude to Jessica, his personal aid, for providing excellent care of Carl. In lieu of flowers memorial contributions may be made to the Juvenile Diabetes Research Foundation (JDRF), or to Kuhl Hose Fire Co., Greene Township.